Manage everything from appointments to claims all in one place. It’s practice management made more manageable. You take care of everyone: patients, staff, doctors, and insurance companies. Kareo makes it all easier. 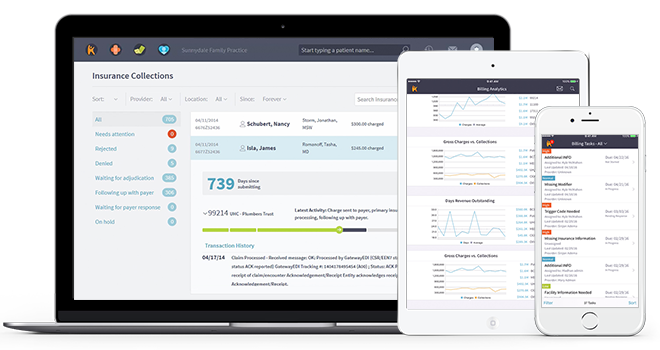 Imagine a practice management solution that’s easy to use and makes everything from scheduling to claims to reporting simple and intuitive. This is it! Kareo Clinical, our full-featured EHR, was designed by a doctor for doctors. It seamlessly fits the way they work and effortlessly connects to your practice management and billing solutions to make everyone’s job easier. Simplify and streamline your whole practice, and speed up payments with faster billing cycles. Plus, you get a team of experts who are always here to help. Think of us as an extension of your staff. Manual appointment scheduling is time-consuming and stressful. Save time and keep everyone’s schedule full, with the easy-to-use, cloud-based scheduling in Kareo. It’s the best way to stay ahead of schedule, and grow your practice. Maintaining good patient flow is essential. With Kareo, attracting more patients and keeping them on the schedule is easy. And more patients are better for business. Save yourself time and headaches with automated appointment and follow-up reminders. It’s a great way to simplify, while keeping a full schedule. Yes, you can do it all. Paperwork piles up, and outdated EHR’s are no help. Kareo Clinical, our EHR, is intuitive and easy to use. Get the smartest clinical tools plus cloud-based patient records and mobile-first design. Everything you need, connected and at your fingertips. Our full-featured EHR lets doctors practice the way they want. Plus, it works seamlessly with Kareo Billing to speed up claims and payments. So you can work smarter, not harder. When your doctors are more efficient, your practice runs smoother. Kareo’s mobile-first design allows doctors to work the way they want. They can chart, take notes, send prescriptions and more, right from any mobile device. And a happy doctor means a healthy practice. Medicine today is complex. Kareo helps you simplify with Kareo Billing. This means no hassles, which means you get paid faster, with less work. Our easy-to-use, streamlined software lets you handle everything from claims to payments in a single, secure, cloud-based system you can access from anywhere. 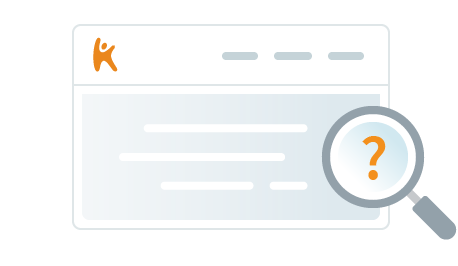 Let Kareo handle your billing, so you can focus on running your practice. With expertise in everything from claims processing to staying on top of regulations, Kareo can simplify your job and improve returns. Not sure which modules are right for your independent medical practice? We’re here to help. Check out these resources for more information, or call, email, or chat with a Solution Consultant today to learn more.